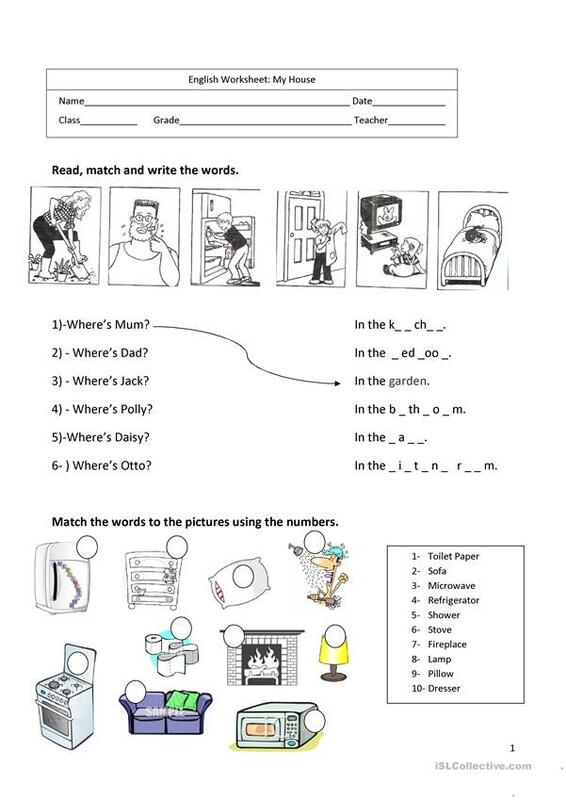 1-Read, match and write the words-Students have to look at the pictures and match the characters to the different rooms in the house. 2- Furniture-Match the numbered words to the pictures. 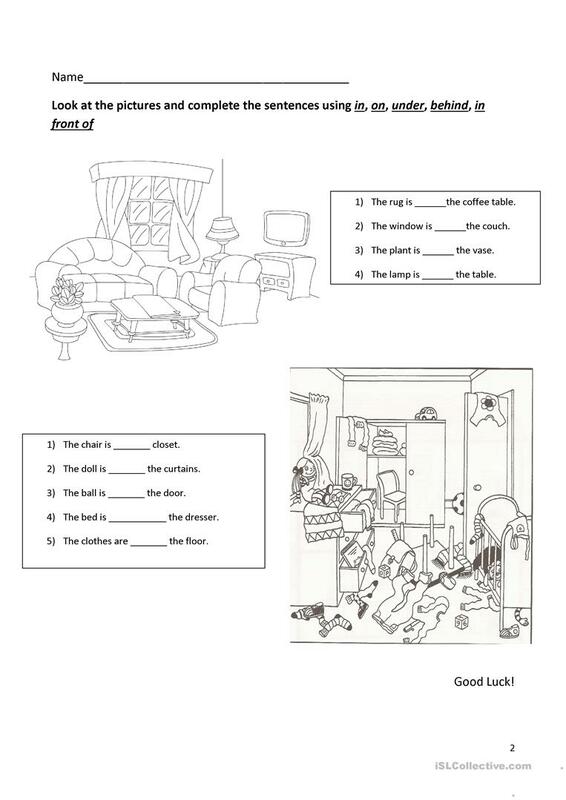 3-In, on, under, behind, in front of- Look at the pictures and complete the sentences with the prepositions. The above downloadable teaching material is intended for elementary school students at Elementary (A1) level. It is valuable for consolidating Prepositions and Prepositions of place in English, and was designed for developing your class' Reading and Writing skills. It features the theme of Rooms in the house. mscafe84 is from/lives in Portugal and has been a member of iSLCollective since 2012-10-07 16:04:44. mscafe84 last logged in on 2013-04-07 20:33:01, and has shared 3 resources on iSLCollective so far.